So Christmas has been packed up and put back in the cupboard where you keep the Christmas things. The giant ham from lunch on the big day is being slowly whittled down with each leftovers-based meal, and the wrapping paper has had its sellotape pieces peeled off and been respectfully folded and put away to be used for next year’s presents. Now that I’m back in Wellington – briefly, before taking off for a sure-to-be-blissful New Years with friends and then back up home to go camping with whanau in the same place we’ve camped since 1986 – my thoughts turn to resourceful things, like…could I dissolve all our leftover candy canes in vodka, to form homemade peppermint schnapps? 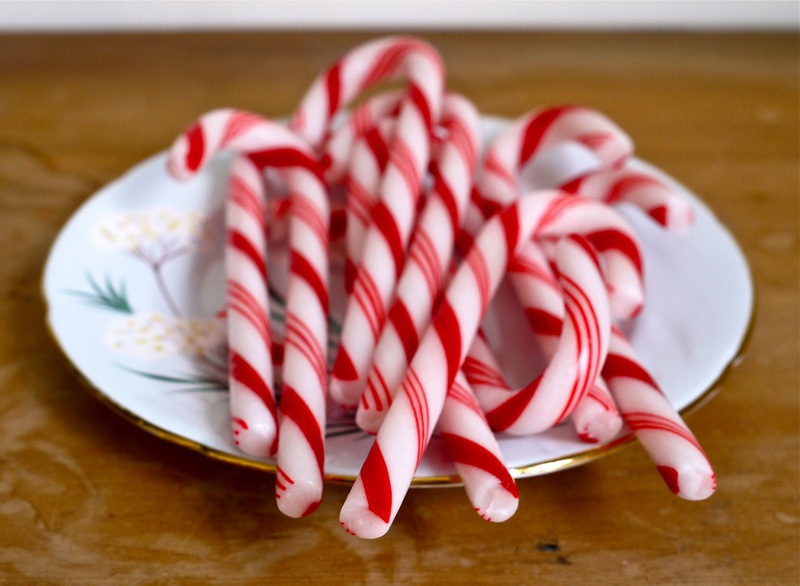 The sugar content of the candy canes would surely soften the taste and the peppermint flavour would give it icy edge. Well, it worked. Spookily fast, the candy canes let go of their stripes and stain the vodka and glowing electric pink. By the next morning, there was no trace of them. How practical is a jar full of liquor that tastes like toothpaste and is filled with red food colouring? Um, not overly. But as with all funny liqueurs, you can find a use for them. Be it a punchily minty hot chocolate or…a punchily minty hot chocolate. Any ideas? But the cool thing about this is how instant it is, so if you get moving, you can have yourself a cute bottle of peppermint schnapps to see in the new year with. Spot the new-old plate that I picked up from home. New to me, old because it belonged to my dad’s mum. The vodka you get doesn’t need to be fancy – if the price of one litre of it is the same price as 750mls of another brand, then it’s probably about right – but make sure it’s vaguely drinkable. I have a feeling the stuff I got was a little too rough-edged, however I figure another night in the jar will mellow it out a little and let the sugar soften it up. 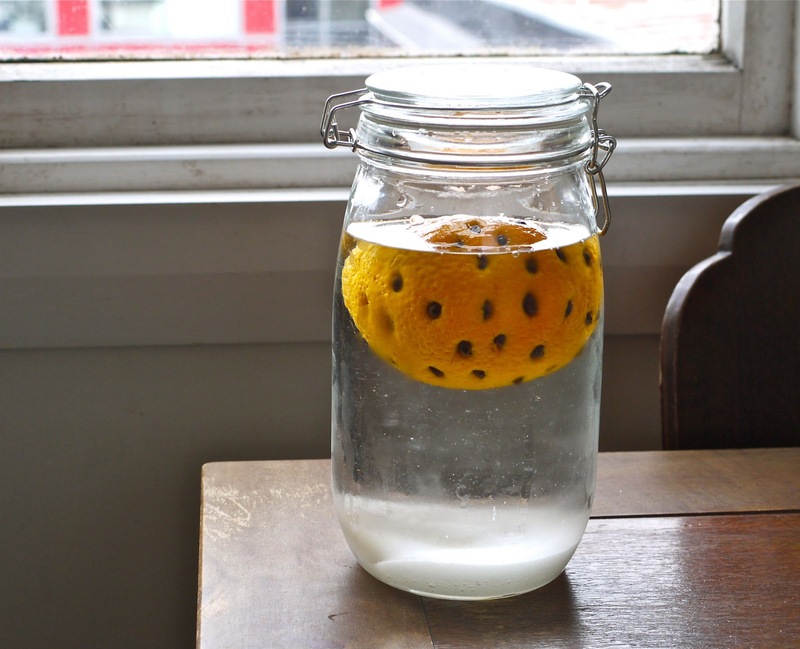 Find an airtight jar (non-plastic) that will fit 1 litre of liquid. Unwrap the candy canes, pile them into the jar, then pour over the vodka. Leave a couple of days if you can, but at least overnight. There was indeed more than one bottle of homemade drinks in the first photo. This one’s not nearly as instant, but what it lacks in speed it makes up for in visual novelty value. Like, it looks like you’re incubating an alien baby or something. It’s a great conversation starter. I found out about Forty-Four, as it’s known, in the Food Thesaurus book. You take an orange, make 44 cuts in it, push a coffee bean into each slice, and place in a jar with 44 teaspoons of sugar. Cover with brandy or vodka (I used vodka) and leave for forty-four days. 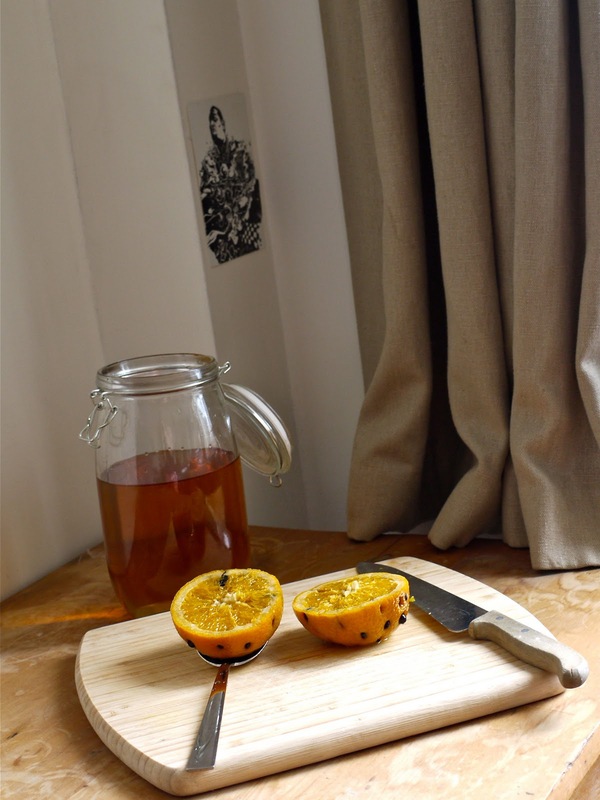 On the forty-fourth day, remove the orange, cut it in half and squeeze the juice into the jar, leave for a day and then finally you’re good. I kept forgetting to make this, so it has really only been sitting for 22 days, but I’d like to think it’s more or less where it needs to be. There’s no way you’re going to get this before New Years, no matter how fast you move, however if you feel like a little project and something to look forward to, then feel free to try this too for fun times in the nearish future. The long sitting allows the sugar to slowly absorb into the resinous syrupy vodka, along with the intense oil from the pores of the orange skin and the coffee beans. At first all you taste is orange, followed quickly by a warm, slightly bitter hit of coffee. It might sound unusual but it’s a pretty brilliant combination. Normally I try to keep it real on here – like, none of the photos are staged. If you see something in a photo, that’s how I was going to consume it. But at the start of the day and with heaps to get done I had to concede to pouring myself a drink I was going to tip right back into the jar. The schnapps was a little too underdeveloped by this point to slowly sip on its own, so I tried – for lack of anything better – mixing it with lemonade. It tasted weirdly good. But I might need to test it a couple more times before the verdict graduates into “definitely good”. Appropriately I also made cakeballs today, out of some leftover cake crumbled and rolled together with leftover cream cheese icing and melted white chocolate, and, for good measure, some raspberry flavouring. Two novelties are better than one, after all. Tim and I will be taking these two fine-ish liqueurs out to the house we’re renting with some dear friends over New Years. Even though I prefer my liquor to be as dry as dry can be, I also find it very hard to say no to a novelty recipe. My head is all “what about Sour Coke Bottle Vodka? What about Orange Jellybean Vodka?” while my heart is like “you don’t like sugary drinks, fool.” And then my head replies with “But the pretty colours!” And I guess it’s obvious by now which organ won the battle. Title via: the quietly appealing 2pac song Thugz Mansion featuring Nas and J.Phoenix. Ethel Merman, There’s No Business Like Show Business. There’s something I find strangely comforting about her brassy, intense voice. And this song is amazing. Kate Nash, Foundations. I never really got into her first time round but can’t stop listening to her debut album after hearing it properly recently. Like…daily. I know. Next time: I hope you all have a safe and happy New Years. I’ll see you in 2012 with something non-novelty, I promise. 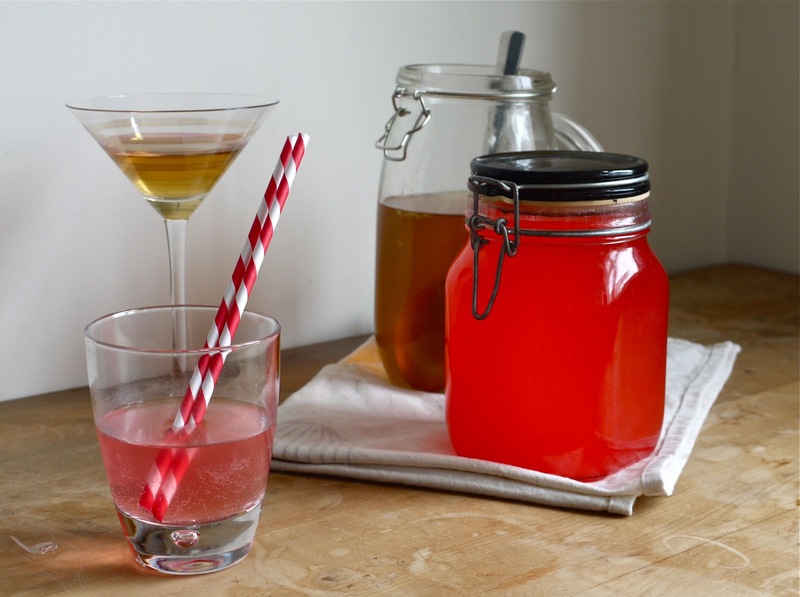 44 is awesome – I have just finished a jar, so next time I can afford vodka I will make more. Apropos your schnapps, I used to go to a bar that made a fabulous cocktail called a Triple Mint – loads of fresh mint muddled with a bit of sugar, peppermint schnapps and Koolmint-infused vodka and ice. Glad you had a great Christmas! 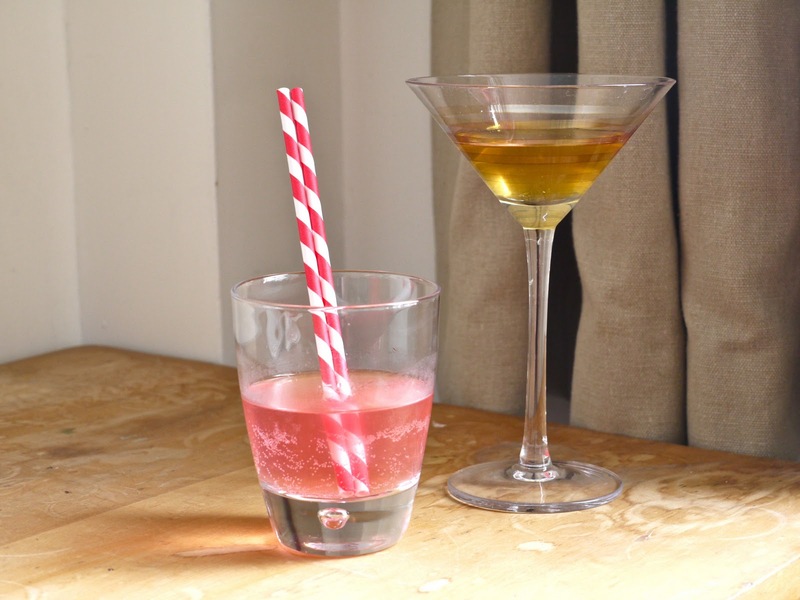 Drinks look lovely 🙂 They would make great gifts… Have a wonderful new year celebration! Sounds like the perfect thing for a wild new year celebration. Hope you have a marvellous time. That Forty-four looks…life-changing. Project time! 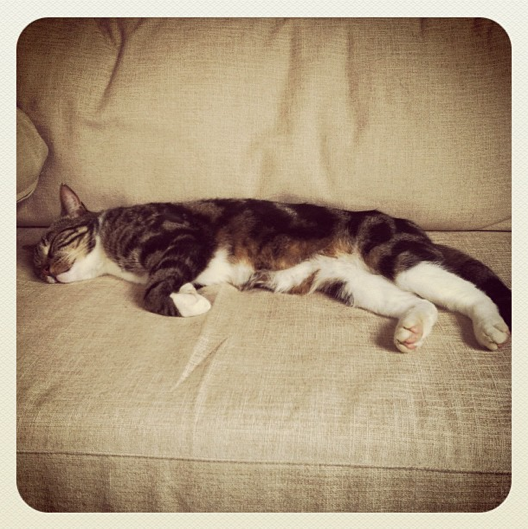 Hope you have a fantastic New Year's celebration, all the best for 2012!!! 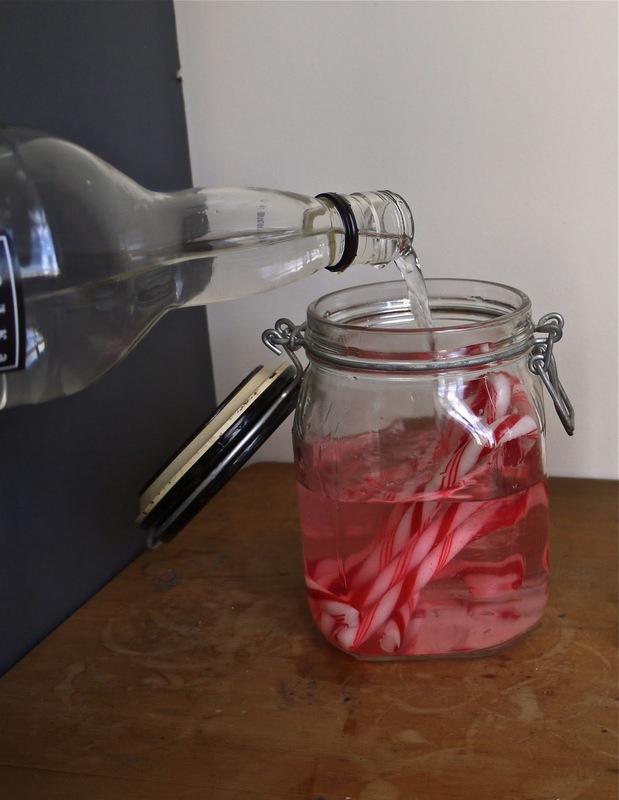 Hmmm I actually do have a box of candy canes leftover from Christmas…totally making homemade schnapps! Happy new year! Happy new year, Laura – hope it's a good one. I was cleaning up the kitchen today and tripped over, yet again, three bottles of vodka bought at the ever-tempting, ever-pushy Duty Free in Auckland. “Why on earth do I buy so much vodka at Duty Free?” I wondered. And then I remembered the boozenberries, the Japanese quince liquor, the amazing vanilla essence resting, infusing in the pantry. Now I'm inspired to make a coffee bean, cinnamon and clove vodka for 2012's mid winter turkey extravaganza. Thank you! very cool!! I think I might have to try the 44!! This is such a good idea! I need to start experimenting in this area a bit more! Now that 44 sounds intriguing….thinking that would be more my thning than camdy canes….though that colour is sooo appealing it probably would no doubt entice me in for a tipple! The Forty-Four intrigues me so much. Orange and coffee? Weird, weird, weird; yum? oh sweet sweet nectar! delicious. i need to make some more infused spririts. i attempted some spearmint vodka in 2010 and the whole lot turned brown and rather unsavoury in general. plus i think it was ultra strong because i got a terrible hangover the one time i tried it. It's so much fun, I need to find some kind of bulk vodka supply though or it'll start to hurt my bank account! Boozenberries! Tee hee. Your midwinter turkey extravaganza sounds absolutely incredible, as does the coffee-cinnamon-clove combination. I wish I had another duty-free opportunity coming up! Oh yes, you don't like oranges, do you! All the more liqueur for me, mua ha ha. Will remember this fact-nugget for when we definitely-eventually meet though. Happy new year back to you, lovely Hannah!